Try to remember an activity you did with your mom when you were younger. Did she always take you to the zoo during summer? Do the two of you like eating a certain type of meal together? No matter what the activity is, if it was impactful for you, you can use it as inspiration. For example, if you and your mom both have a passion for trying different ice creams, find the most unique ice-cream shop in your area, and take her there. Not only will you both get a tasty treat, but you’ll show her how much your shared interest means to you. Flowers are a traditional Mother’s Day gift, and there’s nothing wrong with falling back on the tried-and-true option. However, you can go the extra mile by putting some thought into choosing the right bouquet. This year, Teleflora has some great gift ideas for mom from their Mother’s Day Collection, such as the Love And Joy Bouquet and the Luxurious Lavender Bouquet. 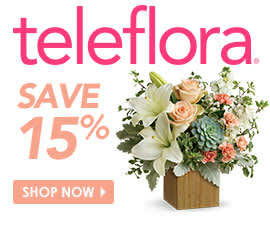 Order a fresh arrangement that features her favorite types of flowers or colors. Go another route by choosing flowers based on their meaning. What specific message do you want to send your mom this year? For instance, pink carnations can symbolize gratitude, an appropriate feeling for Mother’s Day. Give delphiniums to a mom with a big heart. Pink tulips, which are iconic spring plants, represent caring. Picking a bouquet that sends a message is a detailed and thoughtful gift. Greeting cards are certainly beautiful, and many can capture the way you feel about your mom. However, consider also penning a personal letter. You can stick it inside a card or present it separately. Either way, the note should thank her for the impact she’s had on your life, reflect on the ways she’s helped you out and showcase why you love her – be specific! Handwritten letters may be simple, but they allow you to share your exact feelings. This gesture is especially good for moms who feel loved when they’re showered with words of affection. Has your mom been slipping hints about something she wants to do or buy? Pay attention to what she says, and give her that item or plan that activity for Mother’s Day. Or, if your mom isn’t the best at dropping hints, you can see what she posts about on social media. Sites like Pinterest let users save images they love. Did she pin a piece of jewelry or home decor? Buy that for her. The same goes for her favorite stores. Many online shops have wishlists that allow others to buy an item the user wants. Take a look at those lists (or ask a family member who lives at home to peek for you). Additionally, if your mom has been saying for years that she’d like to go to a museum or a certain restaurant, 2016 may finally be the year for it! Just make sure your mom knows to put aside time for the mystery event. No matter what you choose to do for your loved one this Mother’s Day, pay attention to the details. Small gestures may not seem like much on the outside, but they’ll have an impact on your mom.